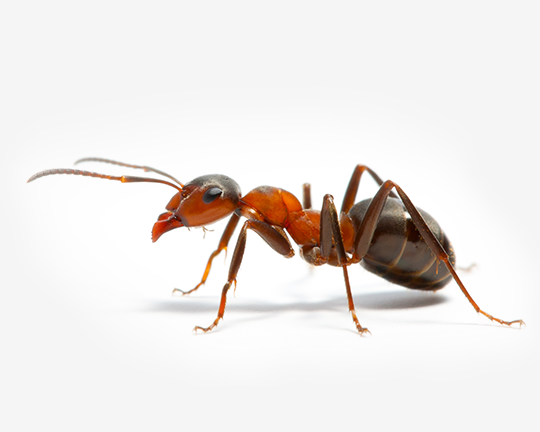 Pest Control | Bug-Off Exterminators, Inc.
All prices are subject to the type of pests and size of property. For more information about pricing click the link below. The pest professionals at Bug-Off Exterminators, Inc. understand what customers want from their pest control service. Initially the customer wants their pest problem taken care of at a fair price. Bug-Off believes a professional and thorough treatment will ensure effective insect control. We also understand the importance of customer satisfaction and each technician strives for a positive relationship with the customer. Give us a call today to find out about the services we provide to help keep your home pest free. Pest control and management can be a very difficult task for a homeowner, so let the professionals at Bug-Off Exterminators, Inc. take care of it for you. Click the button and selct a city to view details about your service area. Look at technician information, reviews, and neighborhoods we service. Start a Bug-Off Pest Control Plan by requesting service online or by phone. Build a plan for indoor pest control and outdoor pest control. With a one year agreement, if you see a bug between services just give us a call. A trouble call is the guaranteed service between your regular scheduled services. The inspection allows us to better understand your bug problem. The inspector can offer insight about the infestation as well as a solution to prevent future occurrences. Inspections are necessary before a termite treatment or wildlife exclusion job can be performed. For pest control the initial service includes an inspection for the targeted pests. Combining your pest control service with other service plans can help you save big. Termite protection, yard treatment for mosquitoes, rodent trapping, and insulation removal are just some of the services you can add on. We'll guide you through the process and help you make sure you get smart pest coverage. Start by getting your inspection now. Mike is our Bug-Off technician and has kept out house pest free for years. Mike calls personally to set up each appointment at a convenient time and is always timely, courteous, and friendly. We've used Bug-Off for years (both our house and our mom's), and have been very pleased with Tim Whitaker. He is very thorough and will come back if we happen to have bugs between visits (which happens only rarely). We have been using Bug Off Exterminators for years and Rick Raines is our technician. He's amazing, personable, efficient and always on time!! I could not say enough good things about him and the company. Communicate with a Professional Technician. For the most effective service, homeowners need to be informed about their pest problem and service. All customers who sign up for service communicate directly with their pest professional for scheduling and information about the pest problem. For an inspection send us an email here or call 770-928-8000. 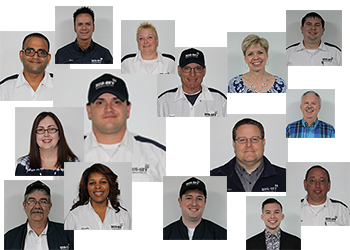 One of our customer service representatives will contact the local technician to schedule the best time for you. If there are any specific times or information you would like us to know before scheduling please provide it here. Learn about Bug-Off services, contact your local technician, request an inspection, and more. Connect with Bug-Off and get service, support, and professional advice from Bug-Off Exterminators, Inc.